Ireland's never-tiring pagan/folk metallers are once again back with a vengeance. Among those of their 7 previous albums that I've heard, the album Folk-Lore (2002) has stuck with me the most. The Irishmen's eighth full length represents the third and final chapter of the blood trilogy, commenced in 2011. As usual in Cruachan's universe, each song seems to be formed separately and given its own identity. The songs nevertheless form a coherent whole. As the songs live their own lives, Nine Years Of Blood still doesn't feels like a concept album. Those deeply familiar with the history of the Green Island, most likely have an idea as to what nine-year long historical event the band has re-enacted. Nine Years Of Blood revolves around the war against English rule in Ireland, which took place from 1593 to 1603. After a grand atmospheric intro, sailing over the unspoiled nature of the island on wings of melancholy, fierce riffing appears in the song Hugh O'Neill - Earl of Tyrone. When rasping black vocals soon makes its entrance, Cruachan ain't necessarily the first and most natural guess. When flute and acoustic notes from the Greek long-neck lute bouzouki are incorporated, however, it's not hard to recognize the veterans who's been operating since 1992 with their inclusive form of Celtic national romanticism. The warlike temper that inevitably occurs when the Irish look back on, and breed new life into an old conflict, really creates its share of pitch black vibes. 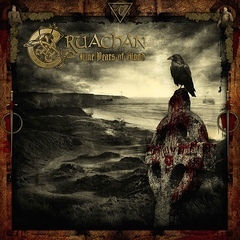 Although Cruachan has found room for their Irish hymns, as in the short title track (where instruments such as mandolin and the frame drum bodhrán find its rightful place), smouldering principles and perceptions, and stygian aggression permeates Nine Years Of Blood. The songs, 12 in numbers, all bearing their own identity, makes it almost hopeless to address separate songs without elaborating for half an eternity. The first single, The Harp, The Lion, The Dragon and The Sword was for me no immediate triumph. The two songs leading up to this, The Battle of the Yellow Ford and Cath na Brioscaí, gave a far greater immediate impression. As the 48 minutes long album grows, every song finds their natural place within this framework. With lots of nifty melodies, and the aforementioned mixing ratio between war-lust and cultural identity, Nine Years Of Blood becomes a new favourite from the Irish. Its been 14 years since a Ukrainian duo named Kroda released their first work, Поплач мені, річко... (Cry to me, River...), characterized by fiery black metal and pagan atmosphere with ravishing pipes. In 2010, after four albums and various other releases, this collaboration came to an end. Eisenslav took over the compositional duties and gathered up a full band, amongst other consisting of some previous live members. Three out of the five who took part in what became a sextet, were long involved, but now only two seem to remain. On Selbstwelt, Kroda is still a sextet, although as much as eight members are listed on Encyclopaedia Metallum. Five out of six have participated on at least two full-lengths before Selbstwelt. Eisenslav, who now seems to go by the name GinnungaGaldr, was not entirely fortunate with his very first attempt at writing material without former companion Viterzgir. The album Schwarzpfad (2011) became a bit of a downer to me. With time, however, he got the hang of it, and delivered a nifty album with 2015's GinnungaGap GinnungaGaldr GinnungaKaos. Half a year later, in October the same year, Kroda released another album, but as Навій схрон consisted of 40 minutes of ambient meaninglessness, before rounding off with 20 minutes of metal, it became completely uninteresting for yours truly. After following this with a series of three live discs, Kroda is finally back where they belong, in the nature and folk inspired heathen troll-forest. Selbstwelt is made up of seven parts, clocking in at 40 minutes before ending with an over 7 minutes long cover of Summoning's Like Some Snow-white Marble Eyes. 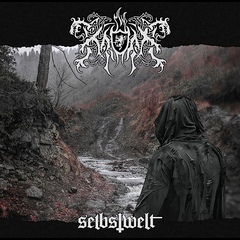 Musically, Selbstwelt consists of good melodies with nice drive, where elements of black metal and pagan metal flow naturally together in a stream that can be difficult to tear loose from and part with. In addition to various folk instruments, such as flute or pipe, yaw harp and kangling (horn made of a human femur), unorthodox instruments such as tambourine and cello are incorporated. The sound is more rounded than in the early day, which contributes to creating a comfortable floating sensation. Selbstwelt must be said to have one of the band's better productions. With material that's in no way inferior to any previous exploits, the album also becomes one of my favourites. The mildly hypnotic effect that spreads out, will probably put the most receptive fans in a soaring trance. And I have difficulty picturing that any of them would protest. PS: The album was recently released on CD. Vinyl and cassette will follow in the fall. For those interested, the band's discography can be explored on Bandcamp. 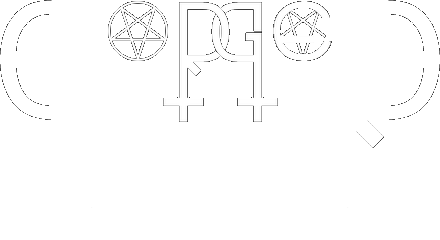 Swedish Grá was rapidly presented in connection with a split with Gnosis of the Witch three years ago. This was followed by the album Ending the same year. A year ago, a two-track single followed, before the black metal band from Stockholm now release their third full-length. The three year old split left me with a positive attitude toward Grá, and last year's single, Ramsvarta Tankar, fortunately doesn't change that. We might as well start off with a few words about the single, whose name means “Pitch Black Thoughts”. The single contains the 4-minute title song, as well as somewhat shorter Osculum Obscenum - a cover of Lord Belial. Both songs offer more despondently darkness, performed with an aggressive spirit. The sound is more bass-heavy and less primitive than on the split, which by the way was a raw live take. Ramsvarta Tankar is a tough but short treat. 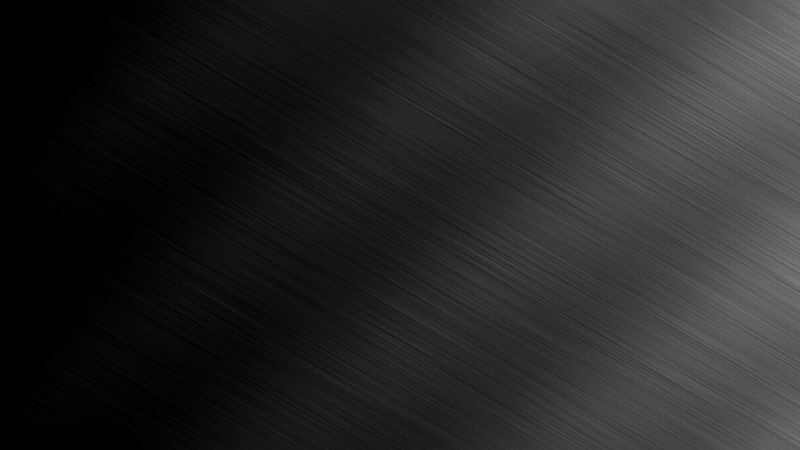 Grá is a kind of “compiling” of the Scandinavian and Icelandic words for gray; grå and grár. Since my previous meeting with the band, the crew has been increased by one man. The three remaining lads also play together in Cursed 13. 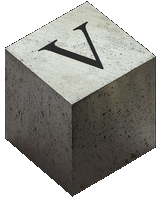 Väsen, meaning Creature, consists of 8 songs spread across 41 minutes of playing time. The band's music comes more into its own when its mood is allowed to settle over the span of an entire album. The album combines raw loathing, fronted by biting vocals, and cold eerie mood in a masterful manner. 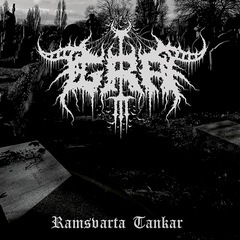 The vocal is performed by Dark Funeral's new vocal supplement, Heljarmadr. Between cutting guitars and bombastic percussion, violin strings and versatile experimentation with sombre synths are hiding. A powerful, but dim and inhospitable atmosphere of inevitable perdition occurs. Once again the soundscape is subject to change. In the absence of a better description, it sounds more hateful this time. Good dynamic range can also be mentioned. My knowledge of the band is limited to recent years, and this is my first meeting with one of their full-lengths, but their development still feels evident. The darkness encloses the listener and forces the poor soul to its knees. The air is electric, poisonous and suffocating. Arrogant aversion gives life to stellar sorrow and appreciated algidity. 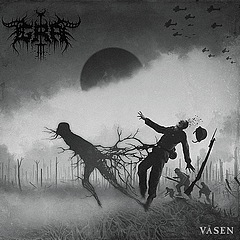 With Väsen, Grá join the ranks of Swedish bands that clearly attest to the nation's black metal scene showing no signs of stagnation, despite its reluctance toward profound formulaic change.